We’re celebrating our annual Kupugani Fest! You don’t have to wait until the summer to reunite with your Kupugani friends…and if you’ve never been to Kupugani, come to Kupugani Fest to learn about camp from Kupugani campers and the camp directors. Come enjoy the party: reunite with past camper friends and staff; meet new friends; and rekindle (or ignite) your Kupugani spirit! What’s Kupugani Fest? Think of it as a reunion if you are already part of the Camp Kupugani family, or think of it as an open house if you are thinking about joining our family. Get ready for fun songs and activities, seeing old friends, meeting new ones, getting information about camp if you’re new to our family, and spending time with Kupugani friends! There’s no limit on who’s welcome to come: past or present campers, camper families, and camp staff, future campers or camper families, or anybody who wants to be part of our Kupugani family. Wherever you’re coming from to attend, you can easily make a day of it. The Fest is located within a mile of the Art Institute, the Shedd Aquarium, the Field Museum, the Adler Planetarium, fancy and casual dining, shopping, and lots more! Spend a day in Chicago and an afternoon at Kupugani Fest (or stay overnight–there are lots of accommodations nearby, or a good excuse for a sleepover with friends). There’s also plenty of time for an “after party” nearby to spend more time with friends old or new! There is easy highway or public transit access. There is limited street parking and $6 lot parking, so join us however you can get there! As usual, if/whenever you have any questions about camp, your childrens’ empowerment, or just to say hi, please feel free to call us at 815-713-4110 or e-mail kupugani@gmail.com. If you have questions about the location or fun things to do in the neighborhood, we’ll get you in touch with our neighborhood guru and great camp parent Jolyon. The event vision is to offer a fun event that is a resource for the community. One-stop shopping on all of the great summer programs in the Fox Valley area and beyond. This is a FREE event open to all Elmhurst families and neighboring communities. Bring your children and browse the tables of various organizations offering summer activities and camps for all ages and abilities. 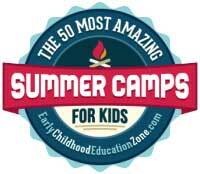 Numerous camps and organizations will display their summer program information. The goal of the open house is to provide parents a ‘one stop shop’ for summer recreational and educational programs. It makes the search quick and efficient allowing families to discover camps they might not realize are out there. This early planning event will ensure spots in camps that fill quickly and give families the opportunity to receive discounted fees for early registration. What a great way to get your summer plans under way!